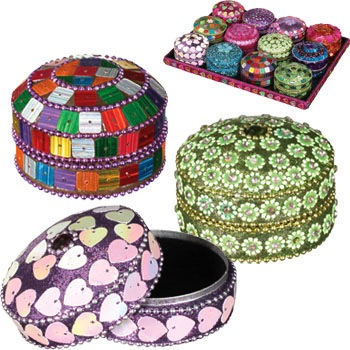 Decorated with a diverse selection of beads and sequins, these 2.25 inch diameter metal boxes are the perfect place to store small treasures. Assorted styles and color. Price per item.